When I have had a busy day gadding about in search of new stories and little bits of Georgian silliness, there is nothing I like better than to relax in the salon with a cup of tea and some music. Our tale today takes us to Prussia to meet a man famed for his compositions for the operatic stage, whose talent took him to some of the finest venues in Europe. Following his birth and the divorce of his parents, Nicolai was cared for in a foster home for the first ten years of his life until his father, Carl Ernst Daniel Nicolai, took him back into his home. Nicolai senior was a composer and musical director and under his father's stern and unhappy tutelage the boy began to learn the rudiments of composition and musical appreciation. Life at home was not happy though and at the age of 16, Nicolai fled for a new life in Stargard. Here he was taken in by August Adler and in the care of this city official, he thrived. It was Adler who truly nurtured Nicolai's talent and he paid for the young man to travel to Berlin and study with Carl Friedrich Zelter. This was to be the making of Nicolai and from here he travelled to Italy where his reputation grew apace. He studied in Rome for years before, aged just 27, he was appointed Kapellmeister at the Viennese Kärntnertortheater. However, he did not settle in Vienna and within a year was back in Rome, where he began to work on operatic compositions. 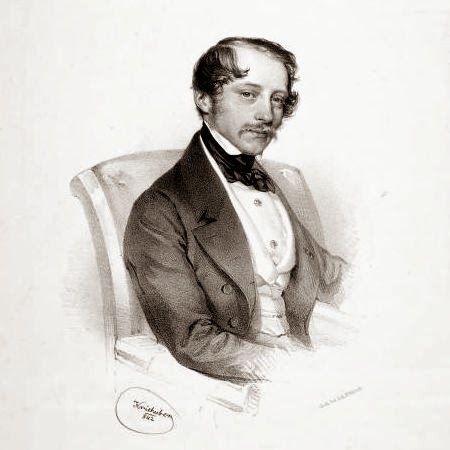 Nicolai gave Vienna a second shot in 1841 following a failed romance with a singer named Erminia Frezzolini. Keen to make a new start, he took the role of Kapellmeister at the Vienna Court Opera, founding the Vienna Philarmonic. Well-respected and highly influential, he enjoyed enormous success and moved in the highest circles. He would remain in Berlin until 1849, when he accepted the role of Hofkapellmesiter at the Berlin Staatsoper, a role he gladly accepted. He returned to Berlin in triumph and his first and only German opera, The Merry Wives of Windsor, opened to great acclaim in Spring that year. On 11th May 1849, Nicolai was elected into the Royal Prussian Academy of Arts; that same day he died, falling victim to a massive stroke. His parents divorced soon after his birth and it seems that neither felt able to care for him, so he was put into foster homes. I've edited the post slightly to reflect that, as it wasn't at all clear.